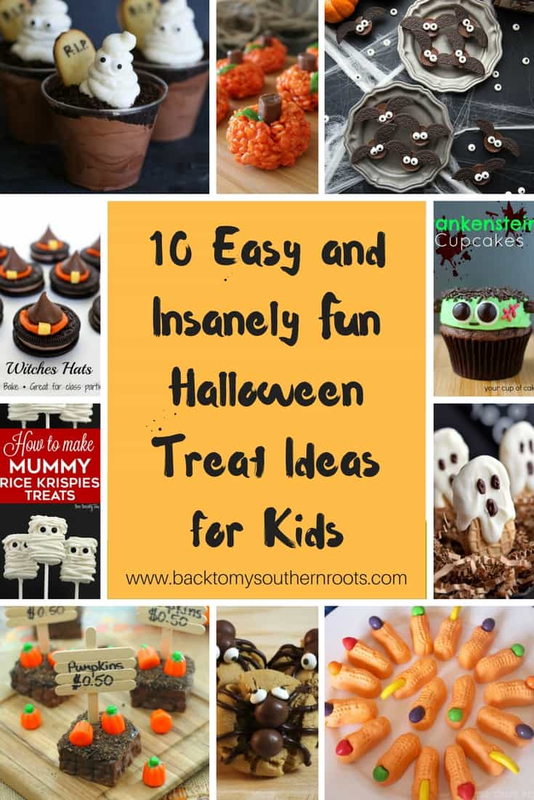 10 Easy Insanely Fun Halloween Treat Ideas for Kids that they will love. 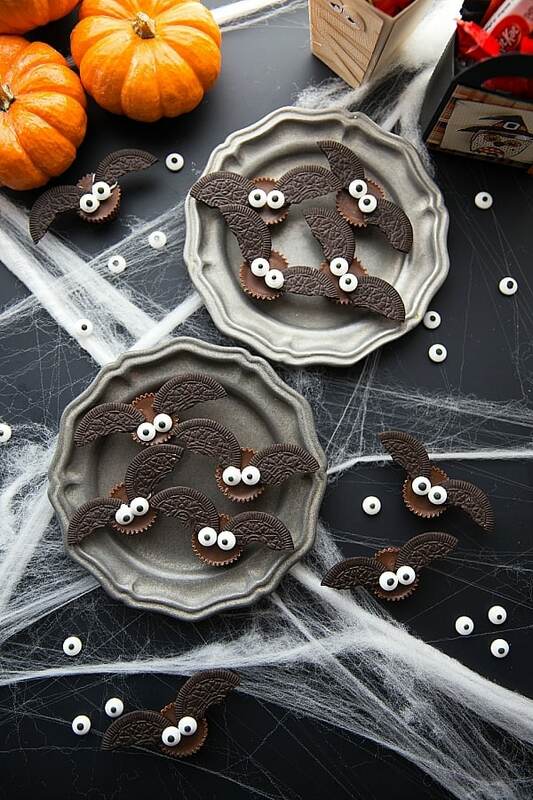 It doesn’t take a lot to make cute Halloween treats that your kids are going to love, and you don’t have to be a chef. 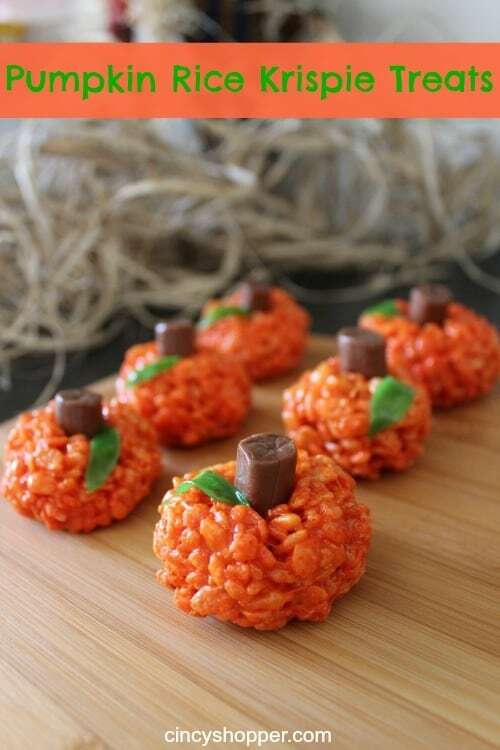 These Pumpkin Rice Krispie Treats are not only adorable, but easy to make. Kids are going to love these, and they might even have to fight you for them–since we all love Rice Krispie treats. 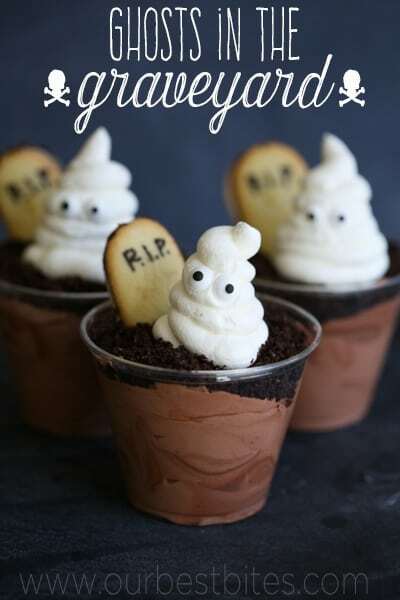 Ghosts in the graveyard are a such a cute treat that the kids are going to almost be reluctant to eat – almost. Get the easy step-by-step directions from Our Best Bites. 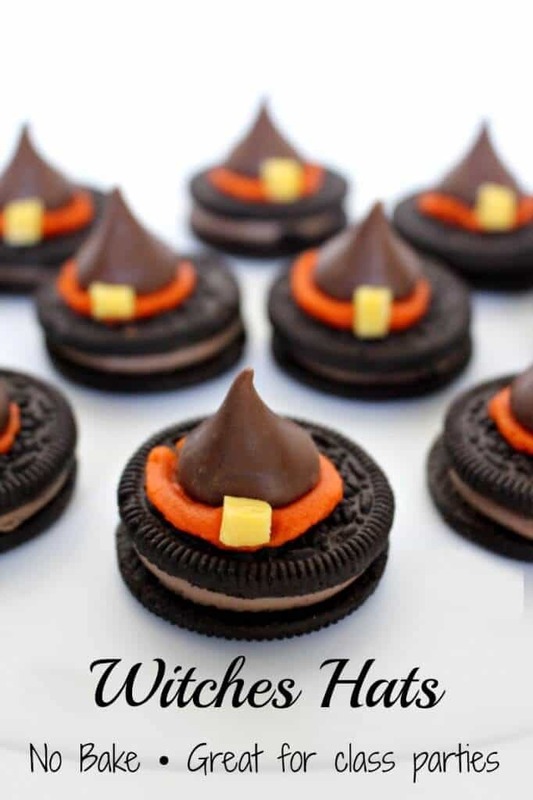 Witches hats are always fun, and you don’t have to bake these! 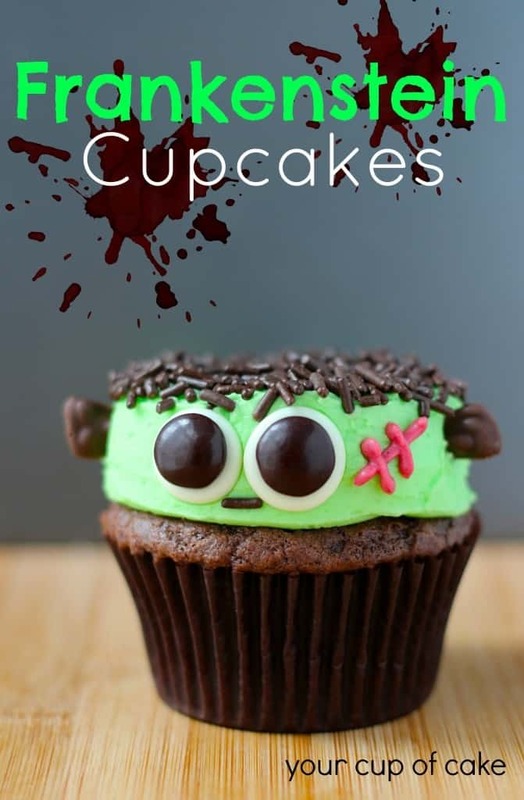 These next treats are super easy, super cute, and there’s a video to show you exactly how to make the mummies happen. Are these bats not the most adorable thing you’ve seen? The fun little googly-eyed candies are the best. 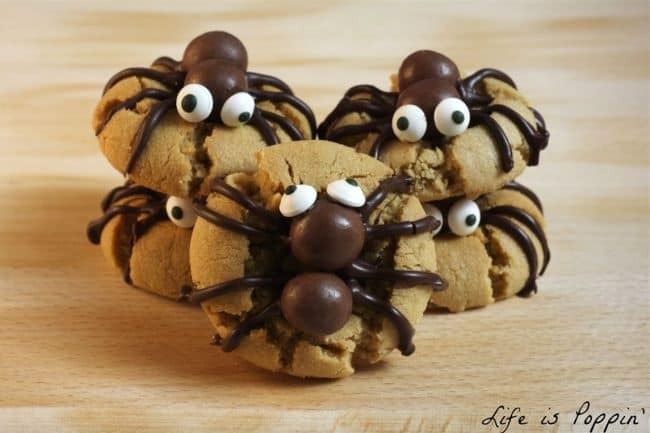 I love these spider cookies. They are a little creepy, but super cute! They are holding on tight to those cookies! 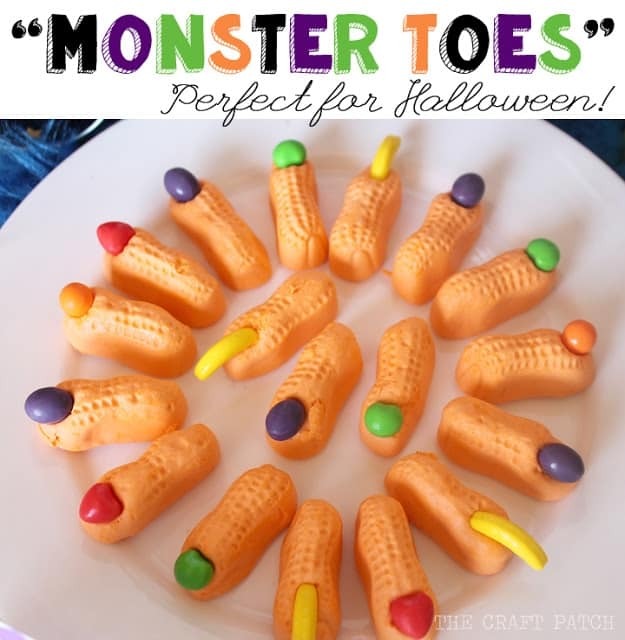 People are so creative to come up with these fun treats! 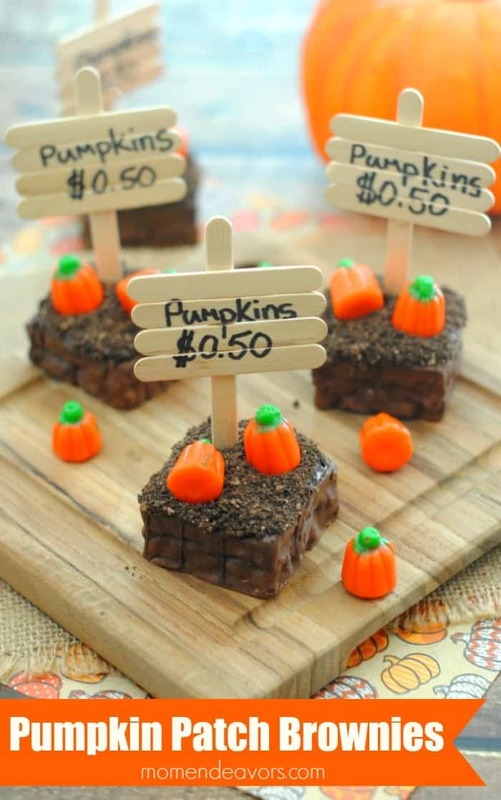 These pumpkin patch brownies remind me of Linus sitting in the pumpkin patch on It’s the Great Pumpkin, Charlie Brown. I love ’em! Frankenstein is finally adorably cute! Almost too cute to eat–almost. My son loves marshmallow circus peanuts, and I know he will love these! There will be a lot of giggling, as well. I love that you can do so many things with Nutter Butter cookies. 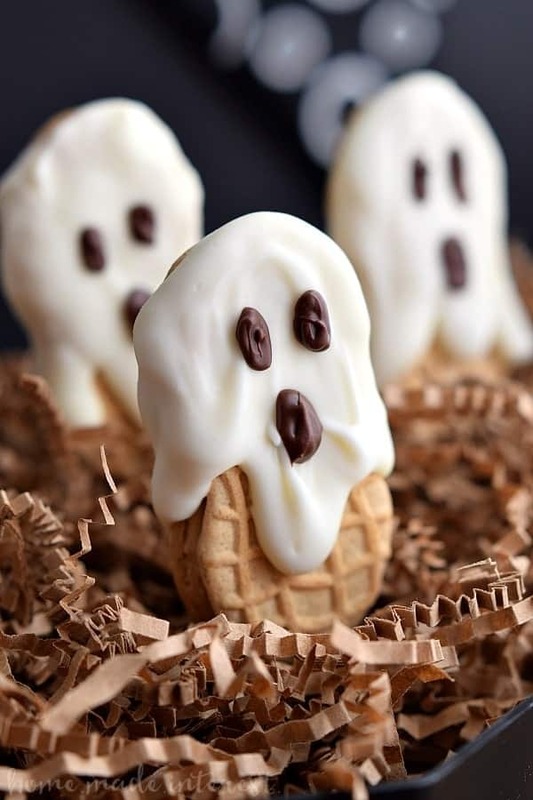 Cookie Ghosts are so creative and delicious! And with a name like Nutter Butter Boos you can’t go wrong.